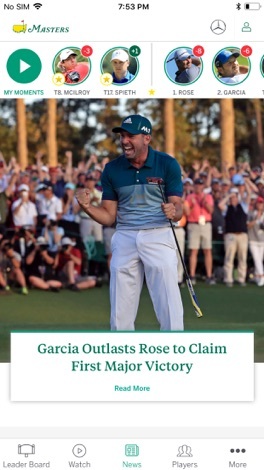 Developer : Augusta National, Inc. 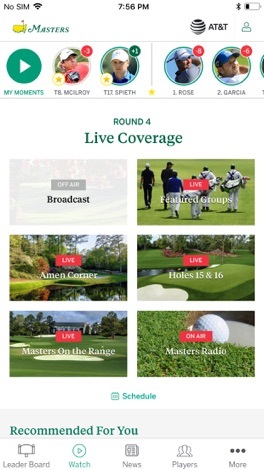 Bringing you closer than ever to the beauty and excitement of the Masters Tournament in Augusta, GA on April 2nd-8th, the official app of the Masters provides the most comprehensive digital coverage available. 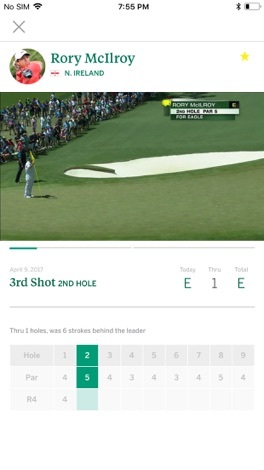 - My Moments creates a personalized highlight reel that catches you up on great shots you may have missed from your favorite players, as well as the most important shots of the day. - Create an account to view your personalized My Moments highlight reel and access your favorites across multiple devices. - Spoiler-Free Mode temporarily turns off score-related notifications. 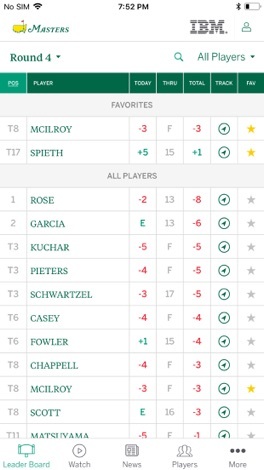 When you return to the app, catch up on highlights and scores from today’s round.